April 1, 2019 — Ed Anthes-Washburn answered his cellphone on his way to work at the Port of New Bedford, Massachusetts — the US’s most valuable commercial port — on Monday morning by telling Undercurrent News that the 2019-2020 Atlantic scallop season is canceled. “Didn’t you hear?” the port director asked. Then, with a chuckle, he proclaimed, “April Fools’!” and confirmed that he plans to play this prank all day long. Contrary to Washburn’s joke, the 2019-2020 Atlantic scallop season has begun in New Bedford, and it promises to be another big one. 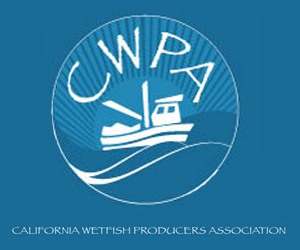 After landing an estimated 56.8 million pounds of scallops between April 1, 2018, and March 31, 2019, harvesters are loosely projected to harvest 62.5m lbs over the next 12 months. Prices were high for the final flurry of 2018-2019 landings. March 29, 2019 — The Coast Guard has begun a study of vessel traffic in and around the seven offshore energy lease areas south of the Islands to determine if any new vessel travel routes are necessary to improve navigational safety, according to Tuesday’s notice in the Federal Register. While Vineyard Wind is the only leaseholder south of the Islands with a contract to sell electricity from what is expected to be an 84-turbine wind farm, there potentially will be several distinct wind farm installations, across what is close to 1 million acres, each with a unique number of turbines, turbine sizes and turbine layout. Last year, two competing proposals for navigation routes were announced by stakeholders following forums held in southeastern New England. Vessels that could be affected might be traveling between Georges Bank and and New Bedford, Point Judith, Rhode Island, or Montauk, New York, according to the Federal Register notice. A vessel transit layout announced in September was from a Massachusetts state government-organized fisheries working group on offshore wind, with one east-west route, one north-south route and one diagonal route. But in early December, Rhode Island commercial fishermen said they needed wider corridors, in the range of 4-miles wide, to safely maneuver their vessels. March 25, 2019 — So, how’s your March Madness bracket going? Clean as a pachyderm’s patootie? Not so much ours. Our bracket has taken on the very patina of a paper we once wrote on Faulkner’s “The Sound and the Fury.” That too was full of bad choices, ill-formed thoughts, scratch-outs and an imprint of our forehead where we seemed to have nodded off. 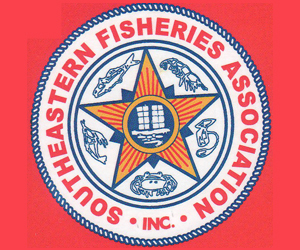 We took a break from hoops last week to check out most of the video of NOAA Fisheries Regional Administrator Mike Pentony’s 90-minute sitdown with the editorial board of The Standard-Times of New Bedford, a fine news organization that does a standup job covering the fishing industry in America’s most lucrative fishing port. The discussion was interesting on a number of levels. 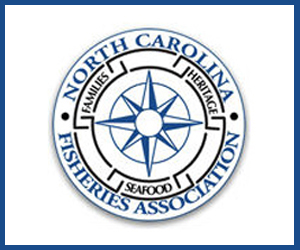 Among the most compelling was Pentony’s take on the “evolution of perspectives” that has shaped the relationship between NOAA Fisheries and the Northeast commercial fishing industry. “It’s fair to say that six to 10 years ago, the relationships between the industry at large and the agency were in trouble, were a real problem. Maybe at an all-time low, I don’t know. But certainly, with my experience, it was a real struggle,” Pentony said. 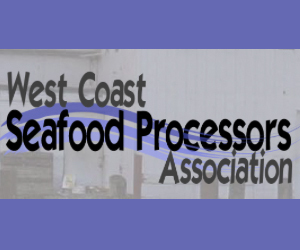 “I think many in the industry – not just the groundfish industry, but the industry at large – saw the agency as the problem. We’ve made progress over the years rebuilding a lot of those relationships, being confident (now) that we could walk in a room and not be perceived as the enemy. March 25, 2019 — The federal fishing administrator for the Greater Atlantic region told The Standard-Times Wednesday that although offshore wind will not threaten the overall sustainability of the scallop industry, the damage to it could be significant, especially for fishing grounds off New York. But later in the day, he clarified his comments, saying the “damage” remark does not accurately reflect his position. 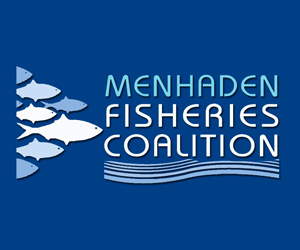 Michael Pentony’s initial comments came when asked in an editorial board meeting if offshore wind gives the National Oceanic and Atmospheric Administration cause for concern about the sustainability of the scallop industry, particularly with regard to wind turbines off New York. March 21, 2019 — Lund’s Fisheries is already known as one of the US’ most dominant producers, processors, exporters and importers of squid, but the additions made recently by the 64-year-old Cape May, New Jersey, company could soon make it a bigger player in the scallop industry, too. The company, in February, announced the hiring of Jeffrey Lang, the founder and former president of Sea Born Products, as callop distributor and importer in the US’ scallop capital of New Bedford, Massachusetts, along with Donna Pimental, a trusted 13-year employee at Sea Born. Lund’s president Jeff Reichle told Undercurrent News in a recent interview that the additions were further evidence of the company’s commitment to the species. March 18, 2019 — Perhaps the third time will be the charm. We shall see. State Senate Minority Leader Bruce Tarr is back with his bill that would permit processing of fresh and frozen lobsters in Massachusetts and cease the mandate to send Massachusetts-landed lobsters out of state for processing into parts. The Senate passed the bill. But then the Senate passed the measure the previous two times it appeared on the calendar, only to have the House each time put the kibosh on it. This year, Tarr and supporters of the bill took a different route. They attached the bill to a supplemental budget already passed by the House. That means the bill, now before the Legislature’s Joint Committee on Environment, Natural Resources and Agriculture, still has a chance to live on if it remains in the supplemental budget following the conference committee. As we’ve previously written, supporters have made a strong case that changing the law would provide expanded and more efficient markets for lobstermen, create jobs and other platforms of growth for the processing industry, help coastal communities, such as Gloucester, diversify their waterfront infrastructure, and provide consumers with more choices. March 15, 2019 — Seafood buyers from 14 countries visited the city’s leading seafood companies on Friday. 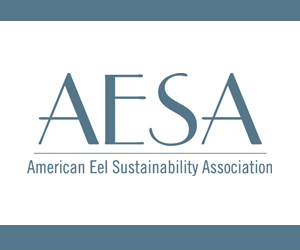 Buyers from Asia, Europe and the Middle East toured BASE New England Seafood Auction, Bergie’s Seafood, Atlantic Capes Fisheries and East Coast Seafood. Countries represented on the tour included China, France, Germany, Japan, Korea, Taiwan, Saudi Arabia, United Kingdom and Vietnam. The buyers are in Boston for the 2019 Seafood Expo North America/Seafood Processing North America, the largest seafood trade event in North America. Food Export Northeast, a nonprofit export promotion group, sponsored the foreign buyer tour, which consisted of 19 “vetted serious buyers,” said Colleen Coyne, Seafood program coordinator for Food Export-Northeast. 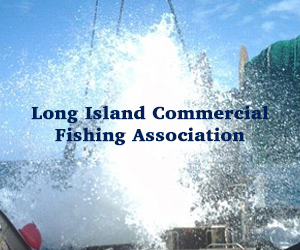 March 1, 2019 — Fishing Partnership Support Services is offering programs in New Bedford to make life safer for those who have one of the world’s most dangerous jobs, commercial fishing. Safety and Survival Training will be from 8 a.m. to 4 p.m. March 7 at the School for Marine Science and Technology of the University of Massachusetts, 706 S. Rodney French Blvd. Drill Conductor Training will be at the same location from 8 a.m. to 3 p.m. March 8. There is no charge for either program, and lunch is provided both days. Drill Conductor Training prepares and certifies fishermen to conduct emergency drills at sea, as federal regulations require monthly drills on commercial fishing boats operating beyond the U.S. boundary line. Emergency situations addressed in this training include: man overboard, fire, damage control, and abandon ship. There will be an emergency procedures class in the morning and practice drills aboard a docked vessel in the afternoon. 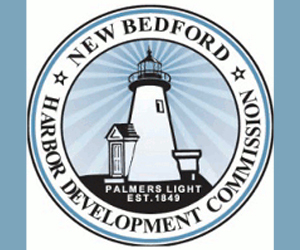 March 1, 2019 — The state awarded $6.4 million in grants Wednesday, including $390,000 for projects in SouthCoast for revitalization and business development.